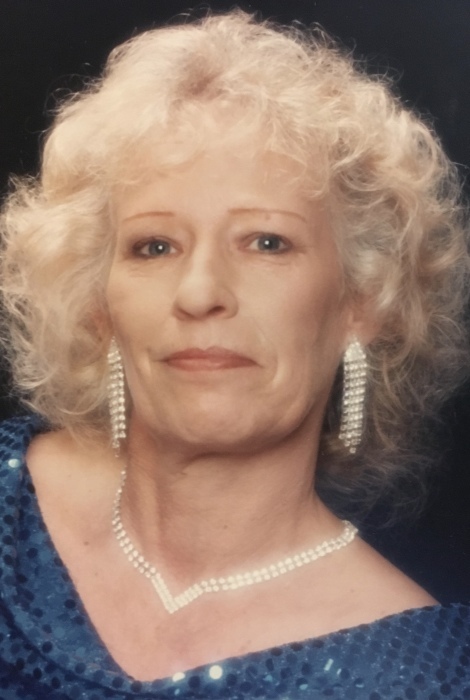 Frances K. “Francie” Howard, 73, of Keithsburg, Illinois died Tuesday, June 19, 2018 at home. Funeral services will be held at First Christian Church, Keithsburg on Monday, June 25th at 2:00 p.m., with visitation beginning at 12:00 p.m. (noon) until the time of service at the church. Burial will be in Greenmound Cemetery, Keithsburg. Memorials may be left for First Christian Church or Genesis Hospice. Dennison Funeral Home, Aledo is handling arrangements. Frances was born February 26, 1945 in Galesburg, Illinois a daughter of William J. and Fern L. Brown Brock. On January 26, 1991 she married Steven E. Howard in Keithsburg. Francie was a homemaker and had also worked as a bartender. She was a member of the Keithsburg Boat Club. Over the years, Francie enjoyed playing softball, gambling and collecting Elvis memorabilia. Those left to cherish her memory are her husband: Steve Howard, Keithsburg, IL; children: Scott Engle (Michelle Crummy), Aledo, IL, Dawn (Kevin) Bowling, Erie, IL and Kathy (Joe) Olson, Aledo, IL; grandchildren: Heather Bowling, Erie, IL, Shelby Bowling, Davenport, IA, Erin Bowling, Erie, IL, Josh Bowling, Erie, IL, Carlie Olson, Aledo, IL, Gracie Olson, Aledo, IL, Kerry Engle, Rock Island, IL, Michael Engle, Aledo, IL, Stephanie Engle, Missouri and Andrea Kadeba, Kansas; great grandchildren: Braedyn Frank, Emma Bowling, Haleyn Smith, Ava-Lyn Smith, Abigail Engle and Kevin Kadeba; siblings: Topper (Kathy) Brock, Seaton, IL, Patty (Red) Stancliff, Aledo, IL, Sandra (Bob) Cook, Viola, IL and Candy (John) Swank, Aledo, IL. She was preceded in death by her parents and brother: Ronnie Brock.